Screenings will take place at Brother Jimmy’s BBQ every second Sunday of the month. Admission to each screening is free, and attendees will be able to purchase food and drink from the restaurant's brunch menu to enjoy during the movie. But the folks behind the Nutmeg Institute are not simply interested in hosting an entertaining Sunday afternoon filled with on-screen explosions and off-screen schmoozing. Rather, they’re looking to provide a consistent venue for locals to connect over their shared love of watching and talking about movies. They’re also interested in serving as a centralized resource for New Haveners who are interested in making movies, but don’t know where or how to start. Clark, Whalen, and Field are all veterans of the local filmmaking scene. Clark and Whalen currently run the 48 Hour Film Project New Haven, an annual competition that Clark first brought to the Elm City in 2010 that challenges teams of filmmakers to write, shoot, edit and deliver a five-to-seven minute movie, all over the course of just one weekend. Field is a local writer and director who has spent the past 15 years telling stories on video, directing feature films like Save the Forest and web series like The Puzzle Maker’s Son, Scenes from the Movies and Life Ends @ 30 (the last of which Clark and Whalen helped produce). Though the local film scene has expanded in recent years through such popular, annual events as the 48 Hour Film Project New Haven, the New Haven Documentary Film Festival, Home Movie Day at the New Haven Museum, Magneticfest at Lyric Hall and the BestFest student film festival at Best Video, Clark, Whalen and Field found that the city’s filmmaking community was still too fragmented to provide clear guidance for locals interested in starting or working on a movie project. That’s owing especially to the Film Division of the state’s Department of Economic and Community Development, which discontinued its Film Industry Training Program in the summer of 2012. Clark, Whalen, and Field lamented that there was no clear place for locals to turn for advice on which cameras to use, the importance of storyboarding, or how to set up a shot. One of the first regularly scheduled events that the Nutmeg Institute has planned for 2018 is the new movies-and-brunch series at Brother Jimmy’s BBQ. In addition to Die Hard, some of the screenings already on the calendar include Leo McCarey’s mid-century romance An Affair to Remember (1957) on Feb. 11, Robert Zemeckis’s 1984 action-adventure Romancing the Stone on Mar. 3, and the Coen Brothers’ indelible screwball comedy Raising Arizona (1987) on Apr. 15. The series will also include an Oscars 2018 viewing event on Mar. 4, which Clark described as the unofficial kick-off date for the various happy hours, workshops and meet-and-greets that lead up to the 48 Hour Film Project New Haven competition in July. For each screening in the Brother Jimmy’s BBQ series, Clark, Whalen and Field will put together a short, promotional video (a la Turner Classic Movies) in which one of them will share some background on the movie’s production and legacy. Click here to watch Field introduce Die Hard. Doors will open at 11 a.m. and the movie will start playing at noon. Clark, Whalen and Field each cited the Alamo Drafthouse and the Boondocks Film Society as models – they eschew any notion of just sitting back and watching a movie in favor of turning screenings into memorable community events. Along with the Brother Jimmy’s BBQ screening series, the Nutmeg Institute founders are also looking to host production-oriented events that educate newcomers and support existing filmmakers who need support in completing a project. 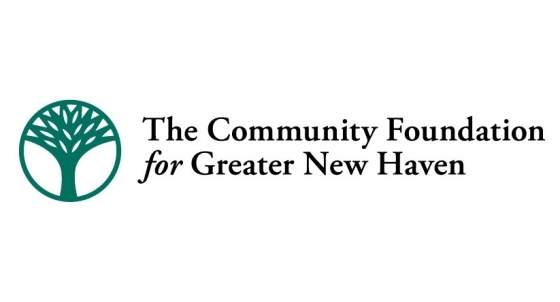 Clark said that the Nutmeg Institute will now be listed as the official producer of the 48 Hour Film Project New Haven, so that the local and regional filmmakers who descend upon the city to compete each July will associate the annual filmmaking event with the new venture. She also said that she, Whalen and Field are talking with local high schools about setting up one-day student workshops on the basics of filmmaking. Earlier this school year, Clark and Whalen worked with the Connecticut educational service EdAdvance to teach a course on how to create Public Service Announcements for a group of around 50 high school students who were bused in for the day to Naugatuck Community College. Clark and Whalen have also served as judges for the 84 Hour Film Challenge, which they described as a high school version of the 48. They said that the Nutmeg Institute would look to partner with the teachers and students involved in that annual competition as well. Field explained that the educational element of the Nutmeg Institute’s mission is not just technical. It’s also an opportunity for experienced filmmakers to share more fundamental tips on what is required of any production. Alongside its exhibition and educational goals, the Nutmeg Institute will also support new video and digital media productions. Clark, Whalen and Field have already scheduled shoots for a third season of Field’s webs series Scenes from the Movies. Clark also said that the Nutmeg Institute will be working with Alicia Ghio of the Danbury production company RmediA to create a “Filmed in CT” series, in which Ghio travels to different locations featured in films shot in Connecticut (such as Indiana Jones and the Kingdom of the Crystal Skull and Mystic Pizza) and unpacks how the setting helped shape the movie. “We’re just three Conneciticut filmmakers who want to see more Connecticut filmmakers,” Whalen agreed. Learn more about The Nutmeg Institute and their upcoming screening series at Brother Jimmy’s BBQ by visiting their Facebook page at https://www.facebook.com/NutmegInstitute/. The print version of this article that came out in the January 2018 edition of the Arts Paper said that the Sunday screening series would be taking place at the Outer Space in Hamden. Clark, Whalen, and Field moved the series from the Outer Space to Brother Jimmy’s BBQ in the time between when the article went to print and when this article was published online.